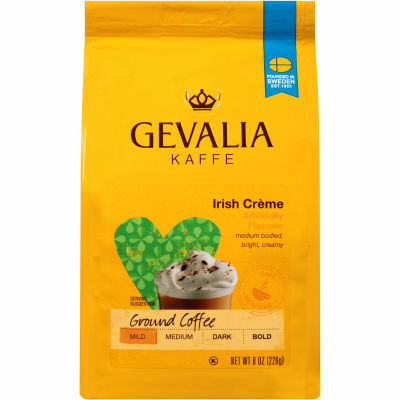 Gevalia Irish Crème Mild Ground Flavored Coffee - Bright and creamy, this Irish Crème coffee is the perfect après dinner or after hours flavored coffee for you and your friends to enjoy. It's made with a blend of Central and South American Arabica beans that add full-bodied taste and a smooth finish. Jazzed Up Taste - This rich coffee is great on its own or styled up like a dessert coffee with a little whipped cream and chocolate sprinkles. It's fun and flavorful so go ahead and experiment.